Emirates NBD, a leading banking group in the Middle East, was formed in October 2007 as a result of the merger of Emirates Bank International (EBI) and the National Bank of Dubai (NBD), combining the second and fourth largest banks in the United Arab Emirates (UAE) to form one of the largest institutions in the GCC region, with an ever increasing presence in the UAE. It is the flagship bank of Dubai, with over 150 branches in the UAE, and international branches in the United Kingdom, the Kingdom of Saudi Arabia, Singapore and India. Established in 1986, the London Branch is centrally located in Knightsbridge, offering clients Private Banking, Investment Management, Real Estate Advisory and Wholesale Banking services. Raashed has been with the Bank since 2004 and joined our London Branch Private Banking unit in 2005. He has spent much of his career advising Ultra High Net Worth clients from the GCC on their wealth management requirements before becoming Head of Private Banking, London in 2014. He was promoted to CEO, UK in 2016 and as a member of the senior management team in London, is part of the branch EXCO, ALCO, Risk and Compliance committees. 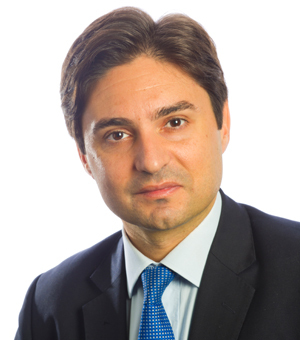 He is a board director of Emirates NBD Trust Company (Jersey) Ltd. Raashed holds a Masters degree from the London School of Economics and is a CFA Charter Holder.